Sarah Crichton Books, 9780374106683, 304pp. A RARE SEVENTEENTH-CENTURY PAINTING LINKS THREE LIVES, ON THREE CONTINENTS, OVER THREE CENTURIES IN THE LAST PAINTING OF SARA DE VOS, AN EXHILARATING NEW NOVEL FROM DOMINIC SMITH. What does At the Edge of a Wood mean to Sara, Marty, and Ellie? How did your reactions to the painting shift throughout the novel? How does the memory of Kathrijn influence Sara’s art? What are Sara’s perceptions of mortality and the natural world? What does the novel reveal about the distinctions between artists and art historians, and between collectors and dealers? Is art forgery a form of art? What empowers Ellie and Sara despite the chauvinism they face when they launch their respective careers? Would you want the Rent-a-Beats at your party? In their disdain for capitalism, do they do a good job of exposing the plight of someone like Sara? As you read about the great lengths taken to transport the painting from the museum in Leiden, what came to mind about the value of a fake? What value should Ellie’s painstakingly created painting possess? How does the muddy nature of falsehood and illusion shape her relationship with Marty? As you observed the stark difference between the Guild of St. Luke in the Netherlands and the modern auction scene in Manhattan, what did you discover about the economics of the art world? Has the patronage system that provided Sara with a benefactor (through Barent’s creditor, Cor- nelis Groen) disappeared? If you had been in Ellie’s situation, would you have accepted Gabriel’s invitation to “restore” At the Edge of a Wood? Discuss the three marriages portrayed in the book: Sara and Barent, Sara and Tomas, Marty and Rachel. When does love flourish in the novel? What causes it to fade? What is Marty seeking on his sojourn to Sydney? What realizations emerge when he and Ellie are reunited? What misconceptions are laid to rest? Beyond additional paintings, what is Ellie seeking when she makes the pilgrimage to Edith Zeller’s bed-and-breakfast? Consider the author’s decision to make the Dutch Golden Age his backdrop. What particular qualities permeate the novel as a result of that choice? Does At the Edge of a Wood convey any messages that endure across the centuries? What would Sara think if she could have known the fate of her work? 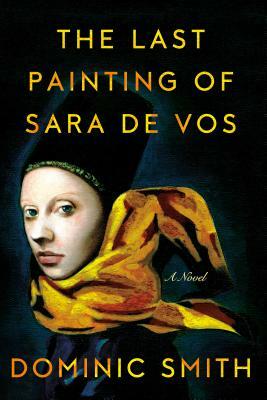 How does The Last Painting of Sara de Vos enhance the portraits of humanity presented in other novels by Dominic Smith that you have enjoyed?